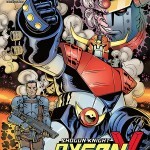 SHOGUN KNIGHT DYSON V is the next project we’re publishing through OUTLAND. Anybody who has been following OUTLAND the last year or so will know that we’ve partnered with Mat Nastos on a variety of projects, AEGISTEEL, ELFLORD, and the re-release of The Barry Blair Library. Almost since the beginning of our partnership, Mat has been talking about an idea for a giant robot book. 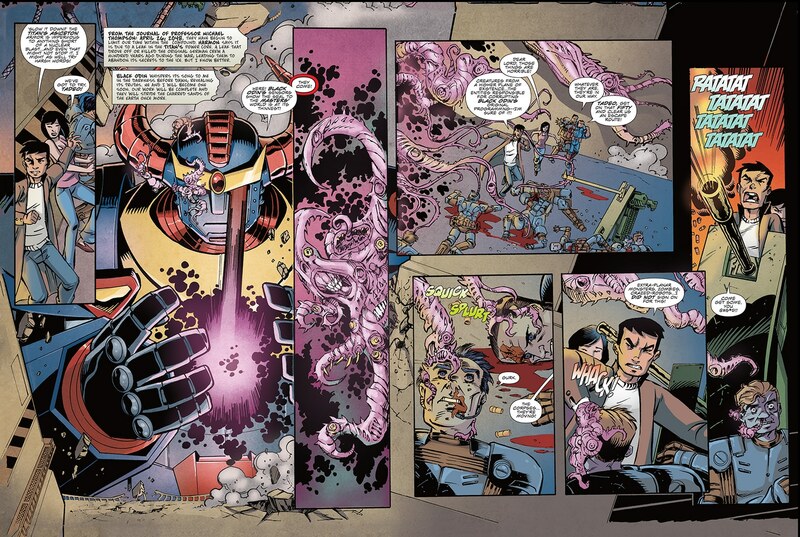 Well, SHOGUN KNIGHT DYSON V is it. This is one of my favorite pieces of work I’ve ever done, and is based on my love for the giant robot comics and cartoons of the 70s and 80s. 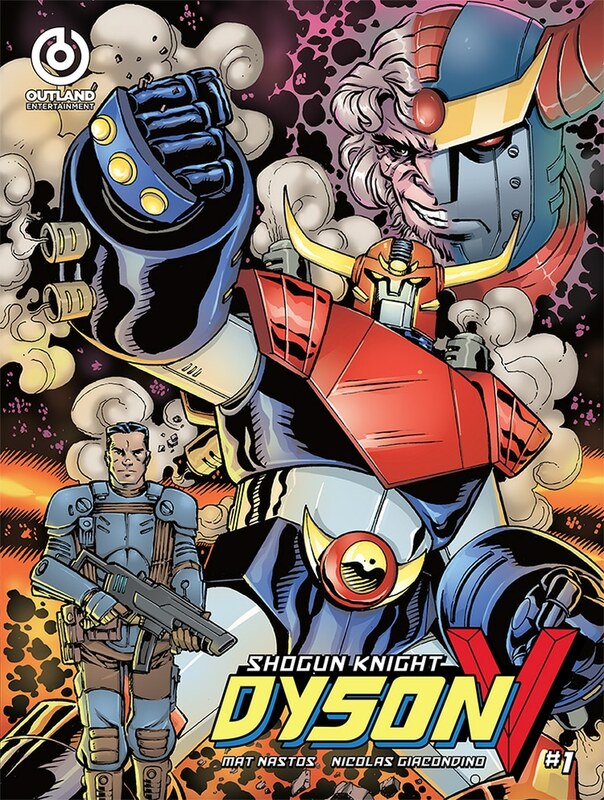 If you love Shogun Warriors, Tranzor-Z (or Mazinger Z in other countries), Giant Robo, Big 0, Grendizer, Getter Robo, or any of their cousins, then you will be blown away by SHOGUN KNIGHT DYSON V! Not only is it full color, but it is printed OVERSIZE at 9″x12″!! The book is a beast and simply beautiful. Written and created by Mat Nastos, with artwork from Nicolás R. Giacondino, Mat Nastos, and Chunlin Zhao and letters from Ed Dukeshire. 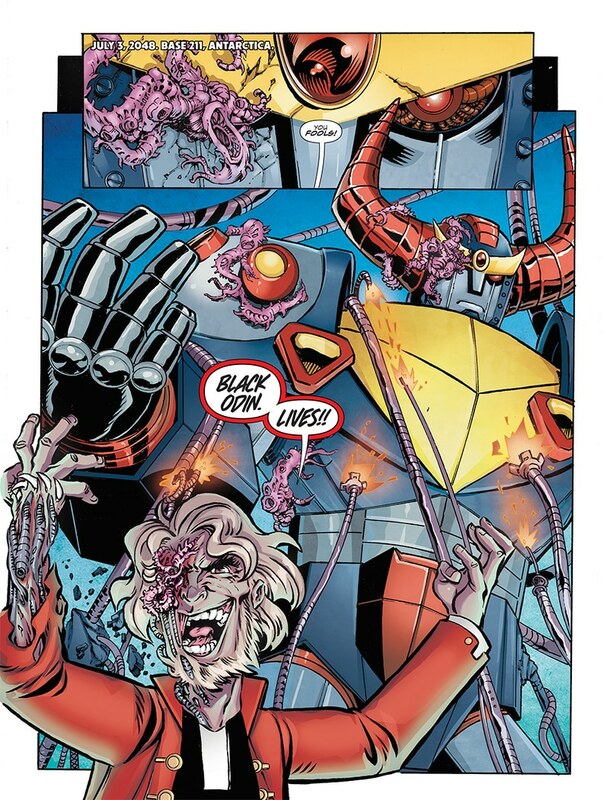 With the corrupt Titan, BLACK ODIN, on a rampage, it is up to Lieutenant Jonathan “Hightower” Harmon and his team to awaken the guardian robot, DYSON-V, to stop him. 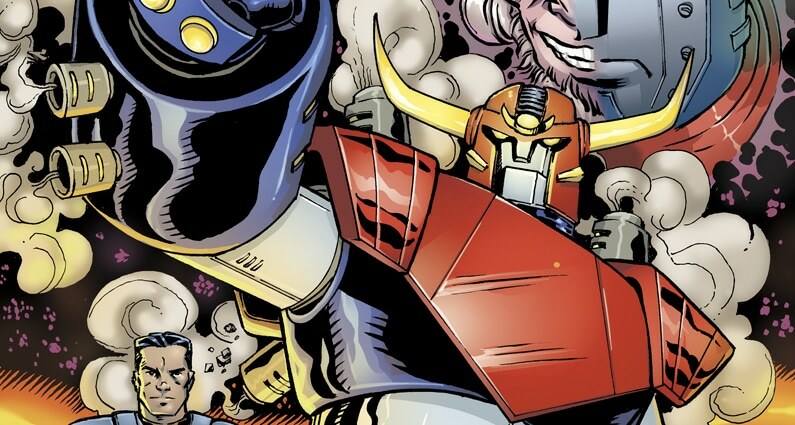 Full color, Super Robot action in the vein of Shogun Warriors, Mazinger Z, Giant Robo, and Grendizer. It will be premiering at the Amazing Houston Comic Con September 4 directly from Mat Nastos, but will be ready for pre-order from OUTLAND soon! Mat Nastos is a versatile artist who always manages to infuse his unique sense of humor into the countless projects he is involved with. 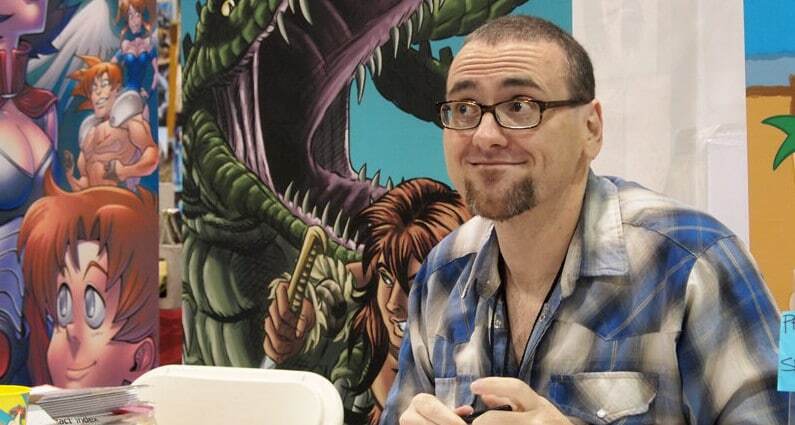 He is known by his work as an artist in the cult-classic independent comic book, “ElfQuest”, and as a writer for film & TV as well as for his own novels. 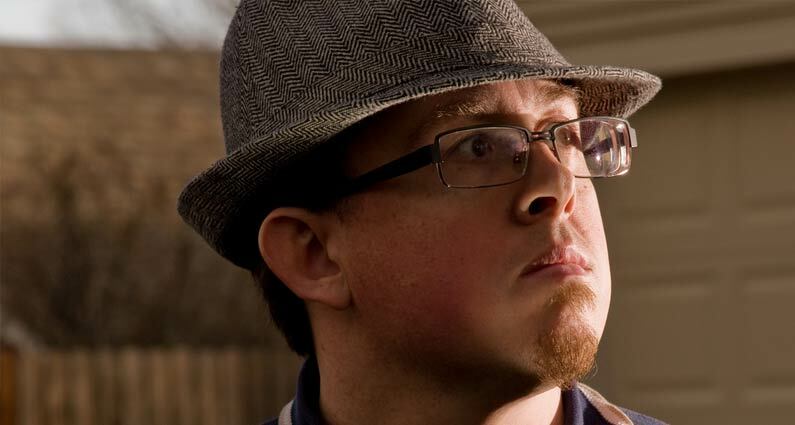 Fan of action packed stories with a sci-fi or steampunk twist, you won’t be surprised that from all the children shows out there, he worked for Disney Channel‘s “Phineas & Ferb”. Mat, the big question: what did you want to be when you grow up? My goal in life, from as early as I can remember, was to be a comic book artist when I grew up. 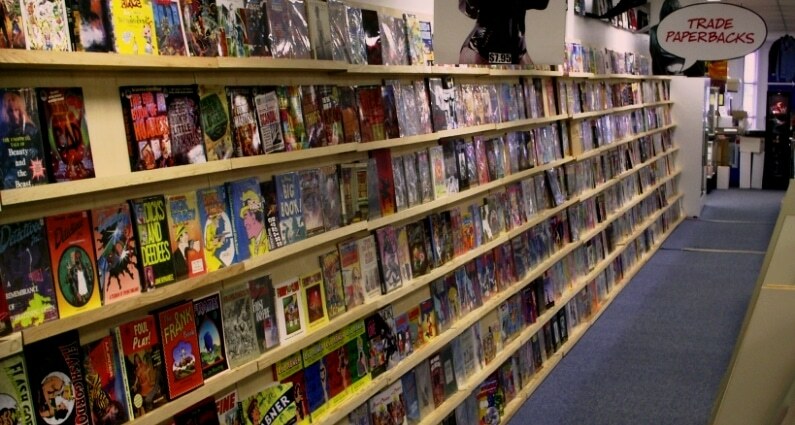 Comics in general were my life: I read them, collected (read: horded) them, drew them…I started and ran the first comic book conventions in Hawaii in the 80s back when I was 11. Comics were my life and my driving goal had been to draw them. That spurred me to go to comic book school out in the middle of New Jersey when I graduated from High School. I drew comics for a lot of years before transitioning over to film/TV and, eventually, to writing. I remember my mom reading a lot of Dr. Seuss to me as a child, but nothing specific. I still have the very first comic I was given – “The Power of Warlock” #14. The first real book I remember reading was “The Hobbit” when I was about 6 or 7. That really stuck with me and opened the door to fantasy/sci-fi fiction for me. After I read that any the “Lord of the Rings” series, I went nuts and started reading everything I could get my hands on. Luckily, I had an older brother and mom who were also into that material and I’d read a lot of things they were. Right around the same time, my family discovered the early Dungeons & Dragons game (late 70s) and I’ve been playing ever since. I read EVERYTHING as a kid. Pretty quickly my collection of comics bloomed up into the thousands and then tens of thousands (now it rests at somewhere around 150,000 comics). When I was younger, my favorites were Elfquest, X-men, 2000AD, and Legion of Super-Heroes, but I wasn’t picky beyond that. I don’t read much in comics these days, and when I do they are generally trade paperbacks versus singles. The art of writing comics to actually be read as singles has become a bit of a lost art over the past 20 years or so and I find it a waste to attempt to follow series in that format. I pick up a lot of omnibus collections of material I was a fan of as a kid. Outside of comics, I read an insane amount of things – tons of non-fiction, and at least 3-4 novels a week. Still a lot of sci-fi/fantasy more than anything else, although thrillers and any sort of action stories are finding their way onto my reading list as I begin to write more and more in those genres. Most of my heroes were the men (and women) creating the material I was a fan of: George Lucas, Wendy Pini, John Byrne, George Perez, Stan Lee, Piers Anthony, Jim Kelly, Gary Gygax, Ed Greenwood, Chris Claremont…my dad. I’ve been lucky enough that I still have a lot of the same heroes I did as a kid. I still have most of that sense of wonder and love I had as a kid. Your first published work was in “The Big Book of Urban Legends” from Paradox Press in 1993. But what was the first thing you ever wrote? My first published writing was a short fantasy story I wrote back in high school. I had an English teacher who was truly a terrible human being who went out of her way to put me down. Her abuse turned out to be a driving factor for me and I submitted a story I’d written in her class (and been given a “C” on!) to Fantasy Digest Magazine. They bought it and I was on my way! After that, my writing was for my own comics – things like the Cadre, Elfsong, and Fionn. My first “real” gig as a writer was the screenplay for the low-budget horror flick, “Stinger,” in 2002. Since then I’ve had 8 films produced. Your writing spans from comic books to novels, video games to film and TV. Do you have a favorite? Writing, in general, for me is a lot of fun. The most satisfying for me as a creator is probably novels because I have complete control over there. Good or bad, with a novel every aspect of it falls onto my shoulders. If it succeeds or fails, things are all on me. The rest of the mediums all have their own positives, though, and comics will always be my first love. Working with a fantastic art as a collaborator is an incredibly fulfilling experience. You have done the artwork, including the cover art for all your own books. Why? I think it all goes back to control. So far, I’ve had very specific ideas of what I wanted on the novel covers and the easiest way to get those ideas out was to do them myself. Not yet, knock on wood! Your work in the comic world started with “Elfquest” comics for Warp Graphics, right? What made you enter this new universe of storytelling? Well, my first comic work was on “The Big Book of Urban Legends,” and I had done quite a bit of indy comic work before Elfquest, including working as an assistant to Joe Orlando at the DC Offices while I was in art school. Comics were my life-long love. Elfquest specifically was my favorite comics. Funnily enough, my biggest goal in going to art school was to draw Elfquest. I had always figured it would take me years (5, 10, or more!) to get a chance to work with the Pinis on Elfquest – they had never let anyone else draw the comic back when I was reading it, so my goal was a crazy fantasy at the time. It was mind-blowing to get a call from Barry Blair asking me if I wanted to work on Elfquest. I was still at the School of Visual Arts when he contacted me and it was easily one of the best days of my life. There was never a doubt in my mind that I wasn’t going to work in comics. “The Cestus Concern”, your first novel, was the #1 best selling Cyberpunk & Sci-Fi Adventure novel on Amazon for 7 consecutive months in 2013. How does it feel to have your work on the spotlight? It was pretty crazy. Novel writing wasn’t something I had ever set out to do…in fact, when I started writing “The Cestus Concern” I’d never written more than a couple of short prose stories. Sure, I had written a bunch of material for TV/film and comics, but prose was so alien to me I wasn’t convinced I could even do it. My whole goal with the book (and each once that’s followed) was to write something that I wanted to read. To write something fast, fun, and crazy. It’s been a great to see that so many other people have enjoyed the work as much as they have. As a storyteller, nothing is better than connecting with fans the way the Cestus books have. I’ve been lucky to work on a huge number of fun projects, so it’s hard to pick. Right now, the thing I’m the most in love with my Donner Grimm books. The first, “Man With The Iron Heart,” came out at the end of 2014 and I am finishing up the sequel, “The Unweaving,” right now. I love the action-adventure/pulp/weird war universe I’ve created for it and the characters are a lot of fun. In comics, it’s the new Elflord series I’m working on. The artist, Tony Vassallo, is insanely good and the material we’re putting together isn’t like anything else being done in fantasy comics right now. The series is crazy good. You own the license from Barry Blair’s projects. What made you take that leap? Barry himself was the reason behind me picking up the rights to all of the material. We had been friends since the early 90s when he hired me to work for Warp Graphics on the Elfquest material, and we had very similar sensibilities . We started talking in 2007 about working together again and one of the things that came up was my love for so many of the characters he’d created, especially things like Elflord, Dragonforce, and Samurai. He said he was done telling those stories, but asked if I wanted to carrying on with their tales on my own. He turned over the rights to all the material to me in exchange for my promise to treat them like my own children. We had been well on our way to doing a ton of new material together when he passed in early 2010. It was a crushing blow for me and it took almost 5 years for me to get back to the point where I felt like I was ready to start again. To be able to put the work out FOR Barry since I couldn’t do it WITH him. Outland Entertainment is working closely with you not only to bring several of Barry Blair’s titles into digital format but to actually reboot some of them. What are you most excited about this endeavor? 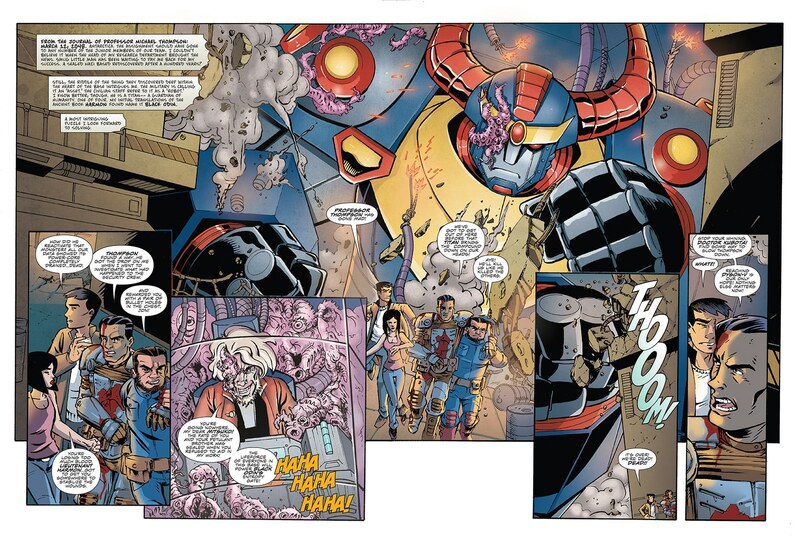 The most exciting part of working with Outland is having the chance to bring Barry’s work back out into the public eye. Barry was a creative dynamo who generated a ton of fun material in a dizzying array of genres. He worked in every possible genre you can image: sci-fi, fantasy, comedy, horror, satire, action/adventure, erotica…you name it and he produced work in it. It’s been a shame that his work has disappeared from the comic industry, especially since his work and company (AIRCEL) was such a huge force in the 80s and early 90s. Having the opportunity to make that work available once more is a thrill and an honor for me because I was a huge fan of Barry’s work, as well as having been his friend for more than two decades. 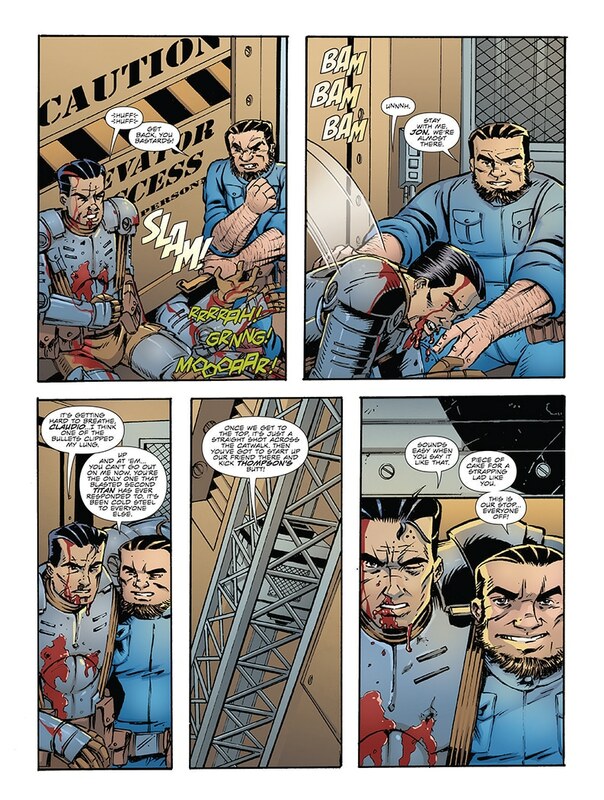 In comics, I’m writing Rob Liefeld’s new “Brigade” series for Image and “Blindside” for Marat Mychaels. For Outland, I’m writing a series based on my Aegisteel fantasy stories with Alan Gallo as the artist; Elflord with Tony Vassallo, and a brand new Dragonforce series that will be drawn by Richard Pace (you heard it here first!). It sure looks like it! Thanks Mat for taking time to let us get a glimpse of your vast creative work! Cons are a constant in a geek’s life. Whether you can afford the money and time to enjoy them in person or live through the photos and videos made by fellow fans. You are sure to get out of those three days with a heavy sense of geek enlightenment. But beware: it will just last until you take off your costume and lumber into your everyday routine. Everyone has opinions, theories, favorite characters, suggestions of things to try. Some have travelled a long way just to be there, others a mere five minutes journey. No matter what, everyone is united in helping others get their idols autograph or simply walk past them. Saving seats, taking pictures, offering a kind word when someone cries their eyes out just because they missed their favorite actor: it’s a healthy comradeship. For the sake of Cons everywhere, I’m leaving out the jump the queue acts, the rudeness in discussions and some costumes that are appalling offenses to the original characters and their creators. What? It’s not all lightsabers battles and cheering. Anyway, talking about cosplay you’re bound to brush shoulders with any character from any fandom, from the more straightforward references to the more obscure ones. 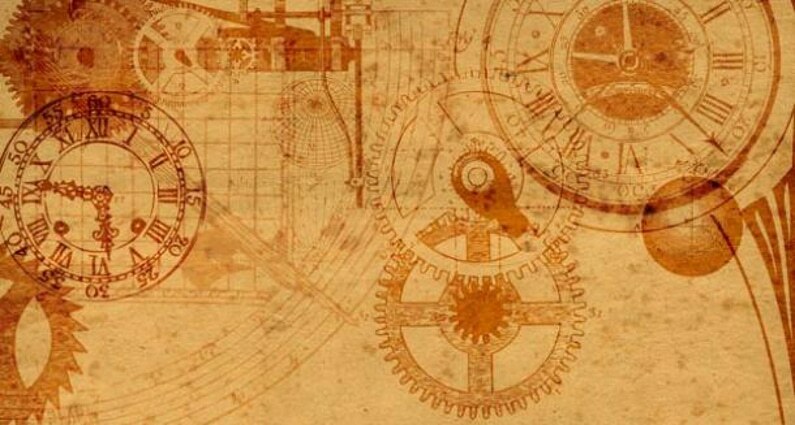 The point is you are surrounded by allusions to all genres: sci-fi, fantasy or steampunk. Unless it has a specific fandom at its core say the Star Wars Celebration or the Doctor Who 50th Anniversary Celebration . Then you’ll only see Chewbacca and Princess Leia or on the second case, walking TARDIS and countless Doctors. Stay tuned for personal convention stories as we enter the “Convention Season”!